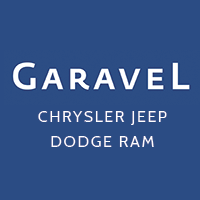 Use the car payment calculator at Garavel CJDR to get an estimate on your auto loan rate or monthly car lease payments in the Norwalk or Greenwich areas. Determine your purchase price for your Jeep Grand Cherokee or Ram 1500 with this easy-to-use car payment calculator. Have any questions about the estimated auto loan interest or lease payments for your new or used vehicle in Bridgeport? Contact us for financing help — or if you’re ready to buy your favorite new Chrysler, Dodge, Jeep, Ram vehicle at your calculated car payment estimate. Pre-owned vehicle pricing includes all offers and incentives. Tax, Title and Tags not included in vehicle prices shown and must be paid by the purchaser. While great effort is made to ensure the accuracy of the information on this site, errors do occur so please verify information with a customer service rep. This is easily done by calling us at 203-663-3981 or by visiting us at the dealership. Some taxes and fees due at time of signing depending on the financing bank. Interest rate is dependent on credit history, amount financed, vehicle selected and term.